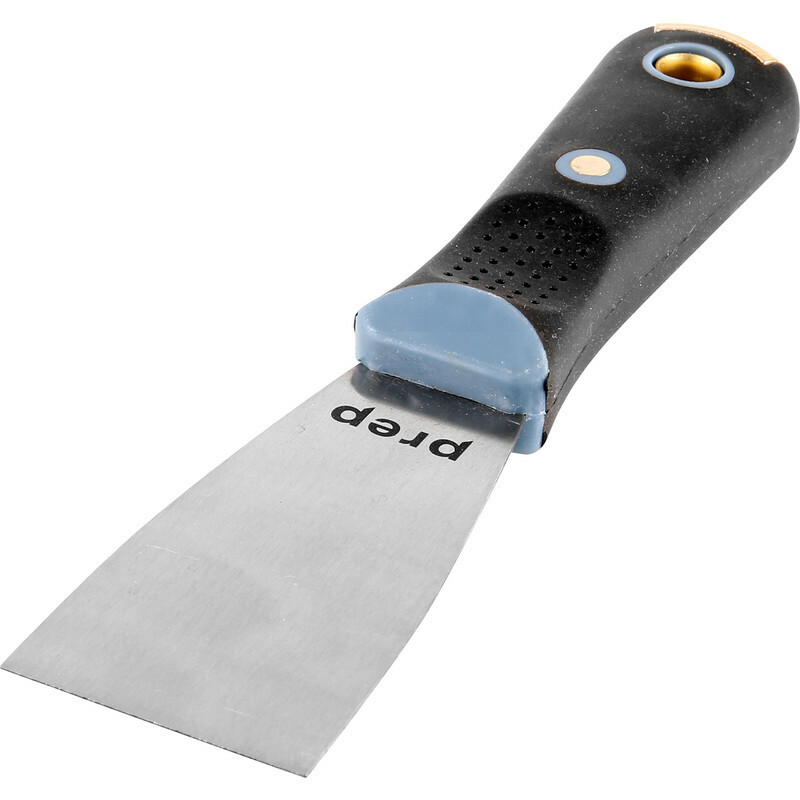 Prep Premier Heavy Duty Filling Knife 2"
Ground carbon steel tang blade for optimum flexibility. Heavy duty hammer end for nails and tacks, with a softgrip handle. Prep Premier Heavy Duty Filling Knife 2" is rated 4.8 out of 5 by 5. Rated 4 out of 5 by Ollie J from Nice quality Knife. fine item but find it quite amusing that they bother with brass bits and comfort handles when the basic blade goes equally as rusty as any other knife, so Don't forget to dry it thoroughly! Rated 5 out of 5 by Cornish Jim from Plaster Spatula Brilliant value for money and of good construction.